A damp start lead to a bright afternoon for the final day of the season at Perth Racecourse. Armed with collecting buckets Philippa Gammell’s crew of volunteers spent the afternoon mingling with the crowds and watching some awesome racing. The day was tinged with sadness following the anouncement of the passing of the racecourse’s former General Manager Sam Morshead. Tributes were made to Sam on the day, and perhaps this is one of the factors which led to an unprecedented £1009 being raised for grass sickness research. 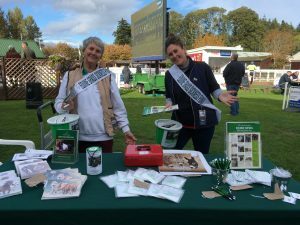 Our sincere thanks go to Perth Racecourse for once again welcoming us to the Glorious Finale, to Philippa Gammell for organising the collection, to our wonderful volunteers and of course to all the racegoers for their incredible generosity.